This MLK Day, Rex Miller will be joining us for a special screening of his 2015 work, ALTHEA. Rex’s documentary follows the incredible story of a tennis legend and Civil Rights trailblazer. Althea Gibson, a truant from the rough streets of Harlem, emerged as a most unlikely queen of the highly segregated tennis world of the 1950’s. Althea’s life and achievements transcend sports. Her roots as a sharecropper’s daughter, her family’s migration north to Harlem in the 30’s, her mentoring from Sugar Ray Robinson, David Dinkins and others, her fame that thrust her unwillingly into the glare of the early Civil Rights movement, all bring the story into a much broader realm of African-American History. 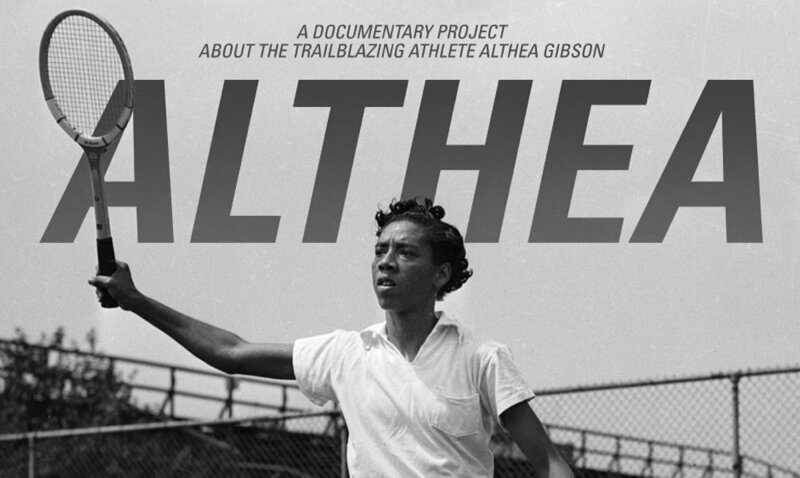 ALTHEA aired on PBS in Sep 2015 and toured the country on the festival circuit to great audience and critical response, including the Grand Jury Prize for Best Documentary at the 19th American Black Film Festival. This event is free and open to the public. We especially invite families to join us in learning more about this sports star’s unprecedented achievements and accompanying challenges. We will be showing ALTHEA twice on Mon, January 21 in the 2nd floor mezzanine events room, including an informal discussion with producer/director/cinematographer Rex Miller following our first showing. Hot chocolate and cookies will be available for purchase at the first-floor lobby coffee shop along with coffee, tea and juice.